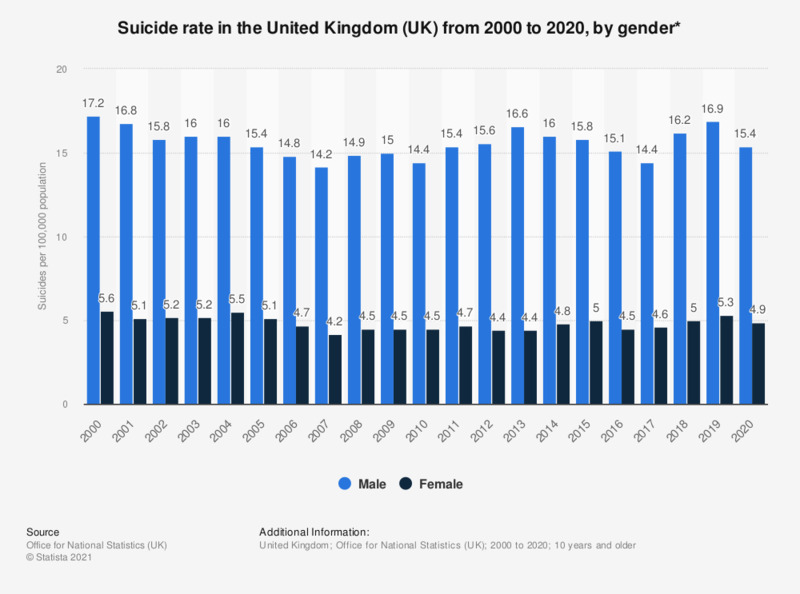 This statistic shows the suicide rate in the United Kingdom (UK) from 2000 to 2017, by gender. The rate of suicide is relatively higher among males compared to females. In 2017, the rate of suicide among males was 15.5 per 100,000 population and among females was 4.9 per 100,000 population. * In the United Kingdom, suicide is defined as deaths given an underlying cause of intentional self-harm or injury/poisoning of undetermined intent..